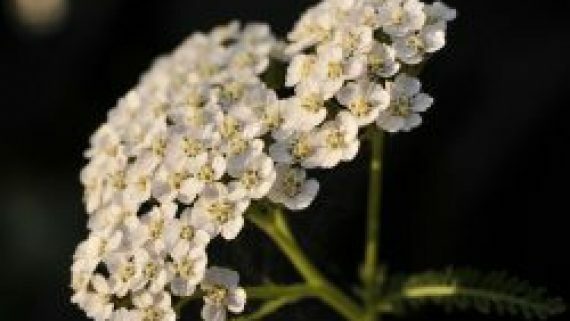 Home » Posts Tagged "dyspepsia"
Yarrow is often used internally to treat excessive bleeding, indigestion, and diarrhoea amongst other ailments, and externally to help heal minor cuts and scrapes. 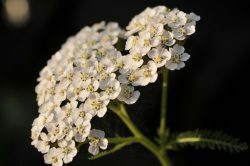 Yarrow is also used in cosmetics to treat oily skin and as a cleanser. It is a flowering plant in the Asteraceae (aster, daisy, or sunflower) family and is native to temperate regions of Asia, Europe, and North America. Its name is derived from the Greek hero Achilles as he supposedly used it to heal soldier’s wounds during the Trojan War. It is also known as: blood wort, carpenter’s weed, knight’s milfoil, old man’s pepper, nosebleed, and staunch grass.